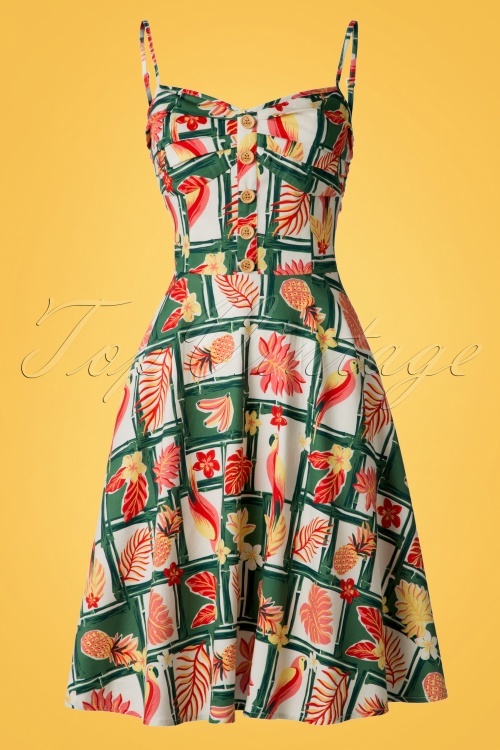 Relive the summery days of the 50s with this 50s Fairy Tropical Bamboo Doll Dress! 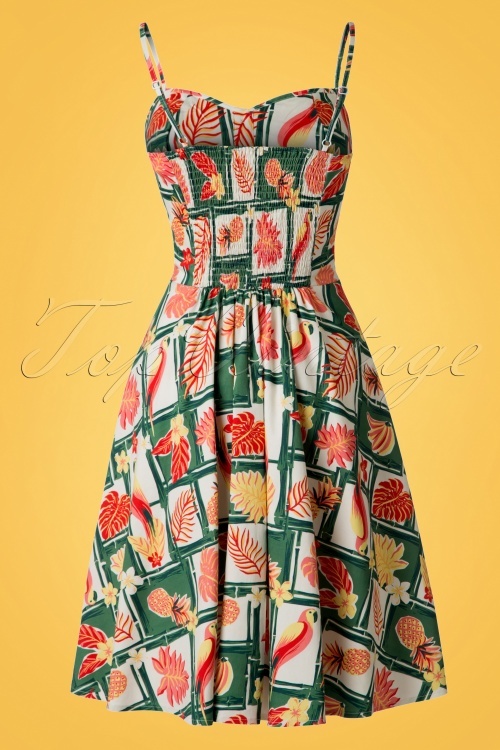 What is better than celebrating the start of summer with a new sun dress? 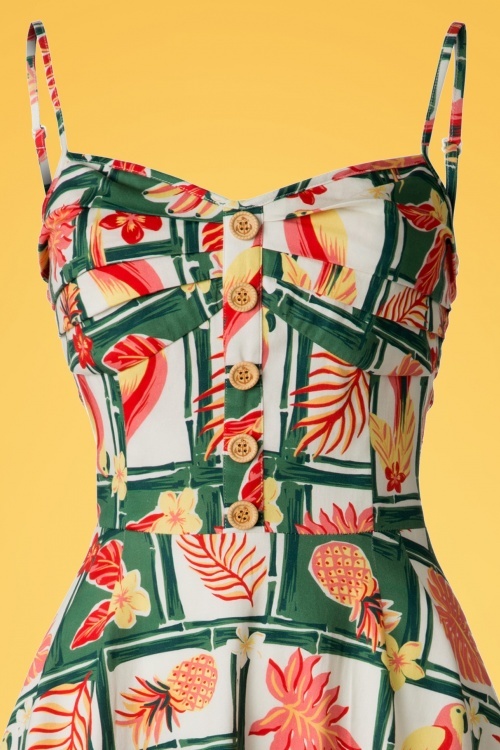 ;-) Stunning fitted top featuring a sweetheart neckline, pleated bust and a row of faux buttons for a ''button down'' look, typical fifties! The flowy semi-swing skirt is super flattering for both a full and a more modest hip. 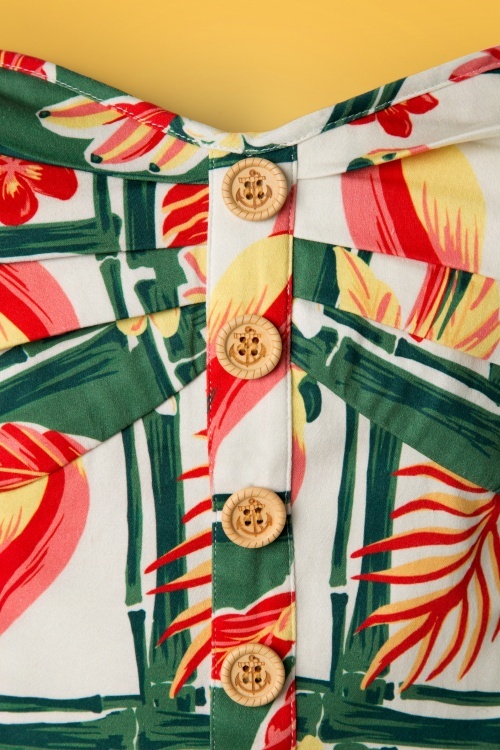 Made from a breezy, white cotton blend with a light stretch and an all-over tropical print. 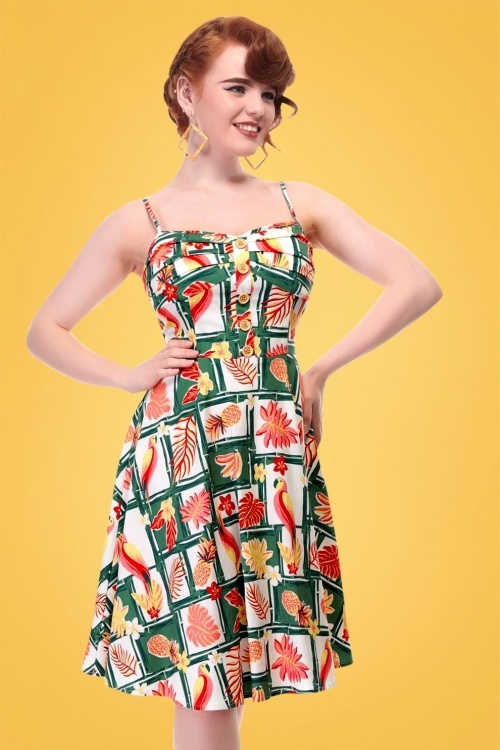 Get your hair flower ladies, with this cutie you're going to make a statement this summer!